I don’t know about you, but for me when Friday rolls around I am in desperate need of self-care / relaxation time. It can be really hard to acknowledge that taking an hour to relax after a long week can set you up for a really awesome and productive weekend, but it’s true! I have a pretty solid routine worked out for what I do Friday and Sunday nights to set me up to stay centered while I take on whatever comes at me. Read on for the steps I take and a relaxing playlist to help bring me down. Here’s the thing – everyone you know is busy. Everyone has a job, and a side-job, and another side-job, and a passion project, and a social life, and a family. Everyone. Is. Busy. Take that in for a second and breathe in as deep as you can. Give yourself 30 minutes on a Friday night (I like to take an hour to shut down from my phone and email, but maybe that’s not your cup of tea). Draw a hot bath a pour in some goodies. Maybe it’s your body wash, maybe you’ve been thinking about this for a while and you have a bath bomb, maybe you happen to have some Epsom salt lying around – I don’t care what it is – pour it in the tub while it fills up. I found these awesome bath salts that I like to use at a shop in Philly called moon & arrow and I’ve become slightly addicted. 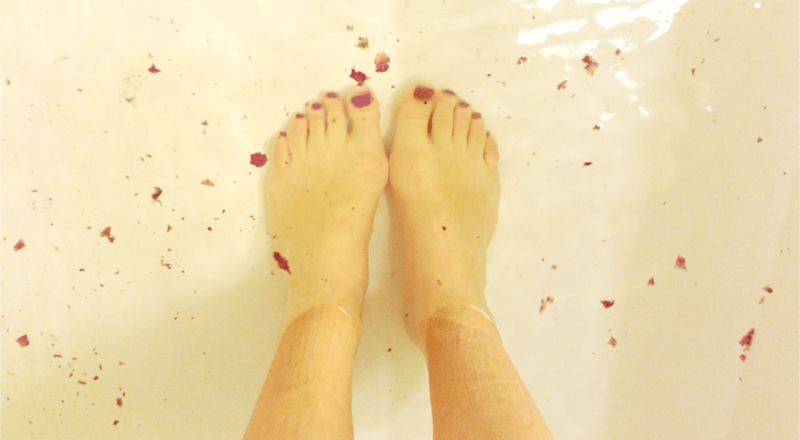 Seriously I leave my house Friday night smelling like a rose petal. Now sit back and soak. Just that, relax and let your week wash off of you. Forget about that weird email you got or the story you’ve made up to explain the response you didn’t get from a potential client. Let it all go and set yourself up for a rejuvenating weekend. Let it go so you can go dancing with friends or so you can curl up with a book or, I don’t know, Netflix and chill or whatever. Check out my Sunday night routine to help set you up for an awesome week filled with productivity and hopefully an overall good mood. 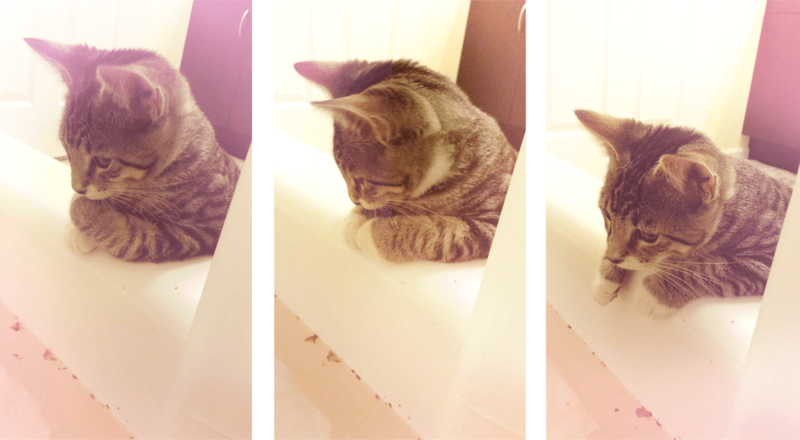 KITTTENNNN. That’s all I got out of this post. Sarah, I LOVE this playlist!! 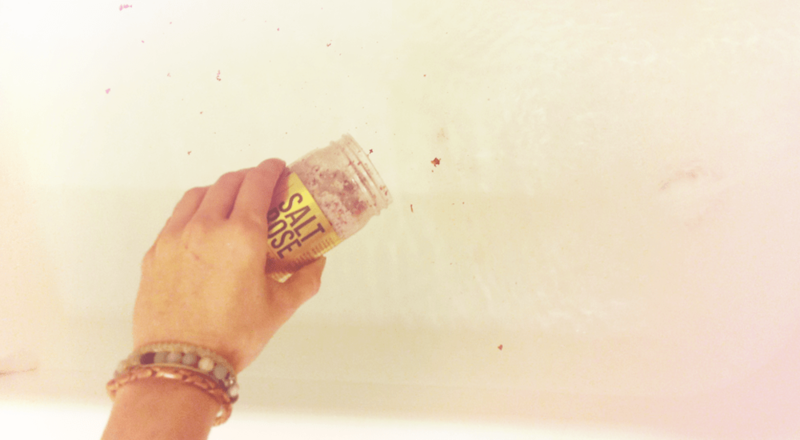 The rose bath salts look so amazing. Totally wish I had a bath tub. Eeee I’m glad you like 🙂 That Brand is AWESOME, I have another bath salt from them that I’m going to talk about this week 😀 Maybe I’ll do a relaxing shower series haha!